Splash-proof protection means you don't have to worry about listening poolside. 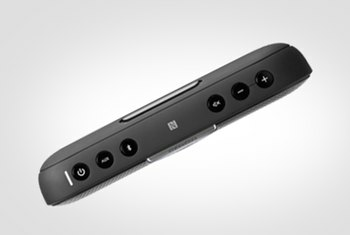 The built-in battery can recharge your phone while the speaker plays. With roughly 10 hours of play per charge, the Rock should outlast most parties. The metal grille isn't as tough as it looks. It can be dented easily. 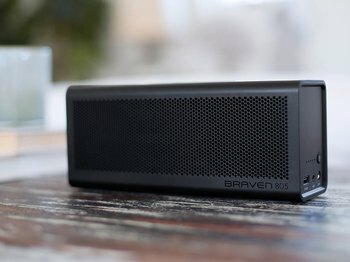 The Rock doesn't sound as clear at loud levels as you might hope for in a speaker this size. 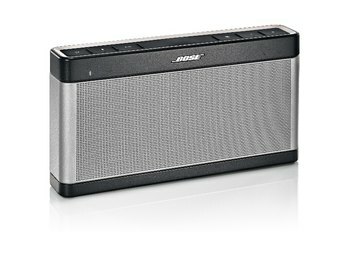 Big and bulky, it isn't convenient to take with you wherever you go. 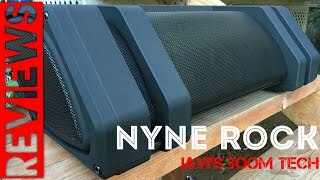 The Nyne Rock is a tailgater's dream portable speaker. 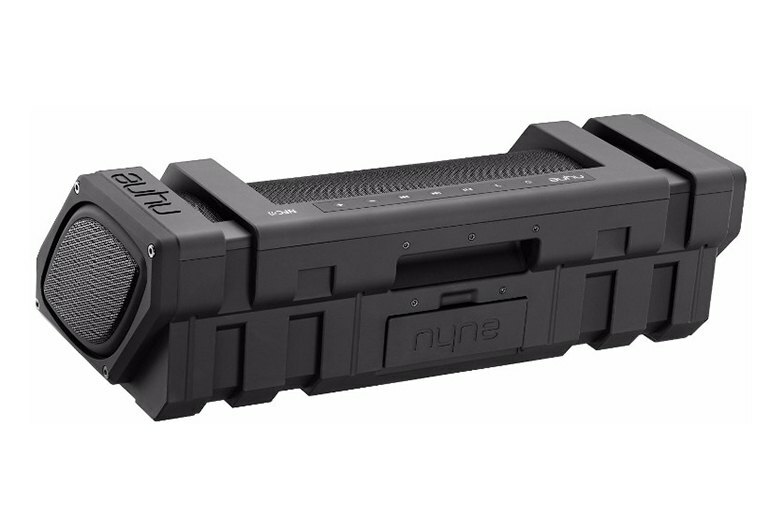 It's as big as anything you'll find in this speaker category with a sound that booms accordingly. The rubber matte finish can withstand the occasional scuff and scratch, and the IPX-3 rating means it won't go running for cover over a few raindrops. 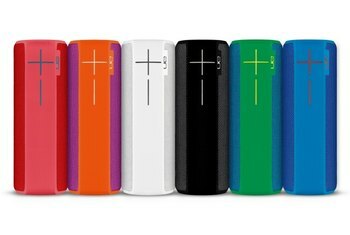 Although it’s designed to connect wirelessly, keep your phone close by--the internal battery on the Rock recharges your portable gadgets through its USB port. With roughly 10 hours of playback, the Rock should outlast most social gatherings. As one might expect, Rock also gets very loud. 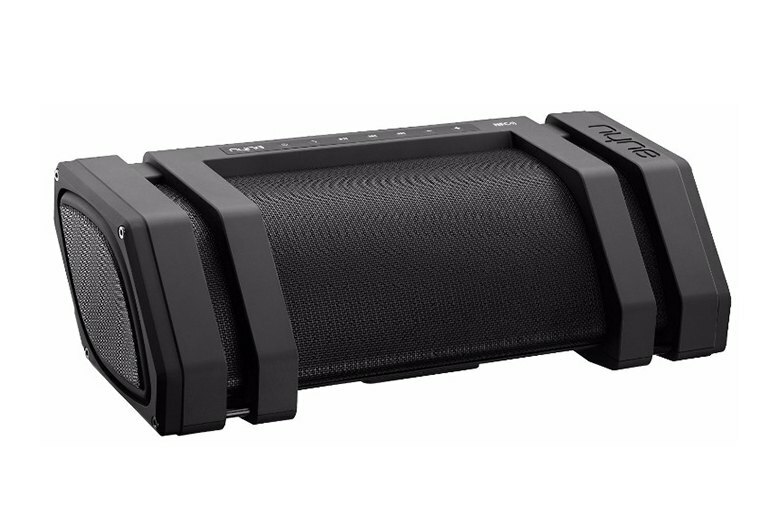 Its overwhelming size and power make direct comparisons to other recent Bluetooth speakers rather tough. The Rock is also equipped to withstand the elements. Yes, the IPX-3 water resistance means it works poolside, too. It’s not the same rough and rugged design you might find in a more waterproof model, but it’s not gonna cry about a light shower. 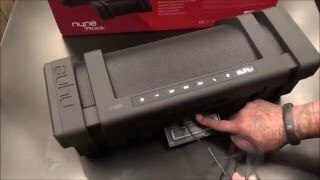 The Rock's Bluetooth wireless performance is solid, maintaining a functional connection up to the listed 33 ft (10 m) distance. This speaker is well above average for Bluetooth signal strength. 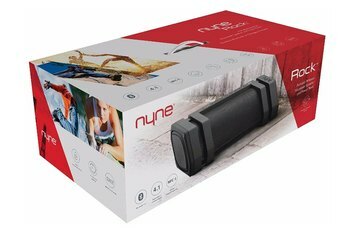 If weak wireless connections are a pet peeve, the Nyne Rock may suit you well. At the middle of the dial, the Rock sounds pretty good. It’s clear and pleasantly muscular. It delivers a respectable range of highs, lows and midrange tones. All in all, it sounds pretty good. But turn it up, and the sound goes harsh.